Build your new home on this wooded lot on quiet cul-de-sac in established subdivision. Paved road w/underground utilities make it easy. 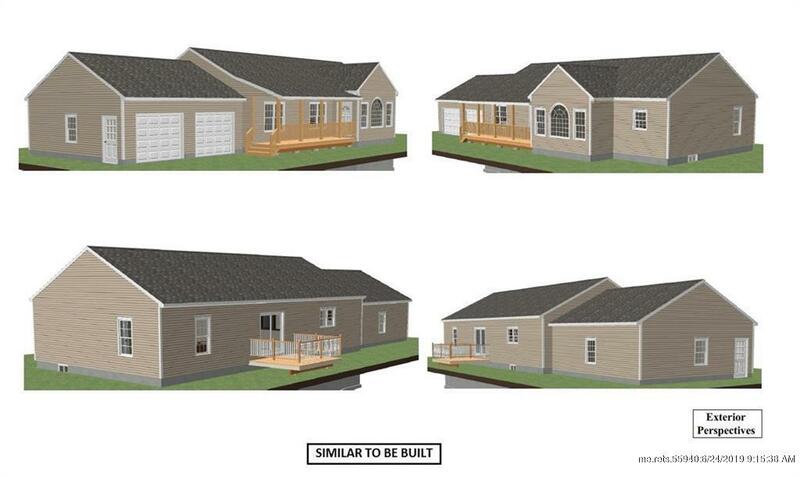 This simple ranch features quality new construction, open living, gas fireplace, deck to private backyard & master w/bath. Entry from attached garage directly into mudroom. Upgrades available & flexibility to choose own finishes. Enjoy this private country setting, surrounded by woods & fields, yet convenient to Rt 196. Lot includes access to Androscoggin River by way of a 10' easement with 30' frontage at river for your recreational use. Close to Brunswick, Augusta, Lewiston & Auburn. Beaver Park & Apple Valley Golf Course nearby. This Lisbon single family home has 3 bedroom, 2 bathroom, and is currently listed for $305,500. Located at 16 Young Road , the property features a lot size of 1.5 Acres and was built in 2019. 16 Young Road has been on bhgre.com for 92 days. This listing is provided courtesy of KELLER WILLIAMS REALTY. Want to see even more homes for sale? On bhgre.com, you can find the latest Lisbon MLS listings, check out photos, save homes, and find the right real estate agent when you're ready to reach out!